Two stories relating to self-store hit the headlines this month. One involved rats and the other a devastating fire. The fire related to a property operated by Safehouse Self Storage in White Hart Lane, north London. The property was approximately 500,000 square feet which apart from the self-store element also housed office space, van rentals and a café. It occurred overnight on 19 September and we understand has virtually destroyed their building, including customers goods being stored along with many other buildings on the estate housing other firms. Around 140 fire fighters and twenty engines were summoned to the scene as the fire rampaged through a large area of an industrial estate wiping out many small businesses in the process. The one piece of good news was that there was only one casualty who suffered burns to their hand. The cause of the fire remains under investigation. 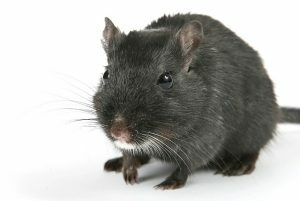 The self-store story involving rats made local TV news after a couple claimed to have lost possessions from damage that occurred through rat soiled and chewed items of household goods being stored at the Shurgard facility in Reading, Berkshire. The company seem to have done everything possible to assist the couple. with a spokesman saying ‘As soon as we became aware of this rodent infestation we stepped up the programme to resolve the issue. The company believe the infestation occurred because someone in the unit has been storing perishable food items against their regulations and they are now taking steps to locate that source.